First of all, Happy New Year! After a lovely week or so off from blogging to visit family, eat the leftover Christmas chocolates and just chill out at home doing nothing, it's probably time to get back to writing some new stuff for this site. I get asked quite a few questions about beauty products for trichotillomania / hair loss in general, but mostly about false eyelashes and which specific styles I would recommend for covering a lack of lashes. There are so many brands and styles out there it can be difficult to know where to start and what to look out for, and for the purposes of reviewing on this site I try out quite a fair amount- but not many of them become my go-to's. Although the lashes that have made it onto my 'all-time favourites' list are only from two brands (albeit two brands which have a lot of styles to choose from), they are the only ones that I tend go out and repurchase when I'm in need for covering up any trich damage. I haven't picked a specific style from this range because I think the concept is what makes this one a favourite of mine (plus it totally depends on what you are looking for). Whilst I reviewed 'Peony' a while back (you can read the original review here), I think it is quite a bold style; 'Daisy' is a good all-rounder but 'Lily' seems to be the one I buy more, predominantly due to the fact that they are slightly more natural looking. 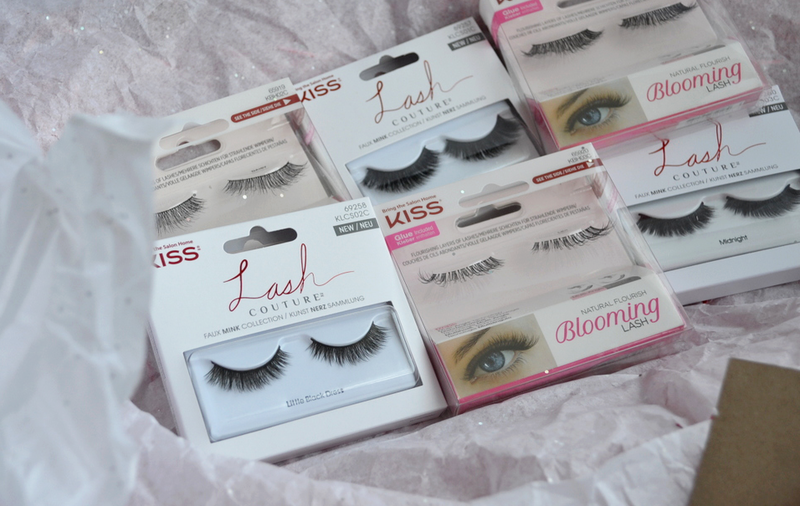 What really drew me to the Blooming Lash range was the innovative multi-angle technology which set them apart from all other false lashes I've tried before. A lot of the time, the false lashes can look great face on, but from the side can seem very 2D, flat and obviously fake. When you're using false lashes to cover hair loss, you want the lashes to look as much like your own from every angle and in every way; the Blooming Lash lashes have perfected this element and are pretty realistic. I just wish they bought out a style within this range which has slightly shorter lashes (like with others on this list)...that would be the dream combo! As soon as I saw this style launching via Instagram, I knew that I just needed to try them and that they'd be perfect for trichotillomania. In fact, if I could only choose one pair of false lashes to help me cover trich from now on, I think I would pick this style. Eylure are probably one of the best known brands for all false lash needs, and stepping up to their section in Superdrug can be quite overwhelming with the sheer amount of styles to choose from! What I love about these lashes is that the almost messy texture gives that 'real lash' look, the overlapping of lashes at the strip covers any tell-tale gaps when you look down, they give a great lift (no drooping despite having nothing underneath to hold them up) and the length is probably the most perfect I've found yet. They are the ultimate all-round fab pair of false lashes for covering up gaps and baldness and I honestly couldn't recommend them enough. These lashes were some of the first ever ones I tried. I remember picking them up on a whim in Superdrug, desperate for something that would help cover the eyelash gaps. Fast forward 5 or so years later and I still completely adore these and always recommend them when I'm asked about specific styles. The criss-crossing lashes are quite concentrated near the strip; buying this pair made me realise how important this was to me in finding falsies for trich. Other lashes which don't have this feature left me feeling so paranoid as whenever I looked down, you could quite clearly see there were no lashes underneath. These Kiss 'Iconic' lashes changed this, and together with the tapered ends (to make them look like natural lashes), lightweight feel and really good lash glue, these quickly became my go-to lashes whenever mine were all pulled out. They're really great ones to start out with, much like the Eylure Kimberley Walsh ones. I think these were the first false lashes I ever reviewed on this site too! Eylure have had a range of super natural looking lashes since I can remember, but after trying a couple of the ultra natural ones and absolutely hating them for trich, I steered clear. (They had gaps between the lashes which made my own baldness really prevalent, and whilst they were natural enough to wear to school without any questions, they didn't help my self-consciousness one bit). A couple of years ago, and after Eylure had a re-vamp and brought out a load of new ranges and styles, I had a peek at their naturals range again and happened to stumble across No 031. Whilst they do have the issue of looking a bit 2D (you can see the photos of them on in my original review here), the differing lash lengths and incredibly light finish means they are a great style to try if you are new to false lashes. They do have their flaws (I'm not 100% happy with how my gaps do still slightly show), but they are so easy to wear, the glue is amazing and do look really natural- which can be surprisingly tricky to find! Which lashes would make it on to your all-time favourite list? Which of these four would you pick? Everyone in the US uses Ardell eyelashes or Huda beauty lashes which are SOOO HEAVY and make my eyes look sleepy. However, I find the KISS and Eyelure make really nice light lashes that add to your makeup without being too heavy on the eyes. I found Ardell far too heavy too, especially compared with how lightweight Kiss and Eylure are! !